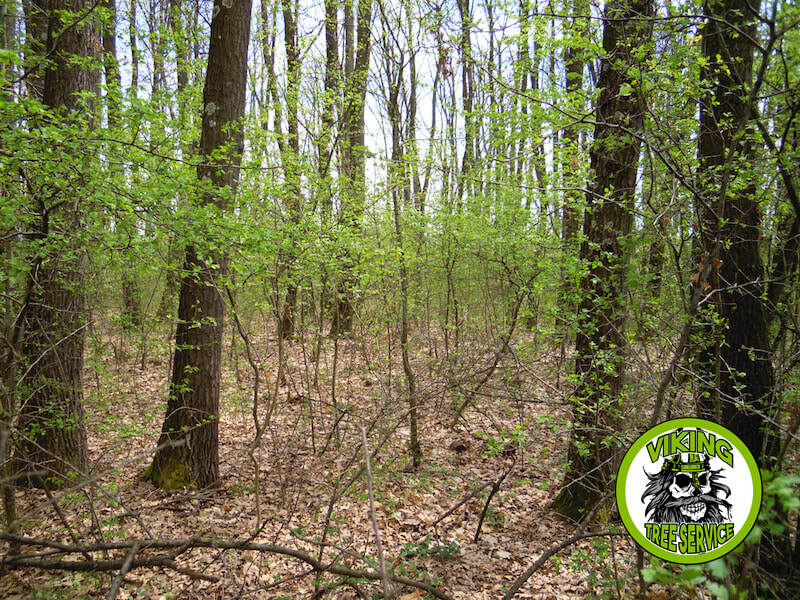 Brush clearing and land clearing are services offered by your local tree experts, Viking Tree Service! These services are similar, but they sometimes require different equipment and skillsets in order to get the job done right. Thankfully, you have Viking Tree Service at your service for all your land clearing and brush clearing jobs! We serve the Oshkosh, WI area with fast, efficient work every time. Giving our customers exactly what they want is one of our main priorities. (Of course, safety ranks above all else! We’ll never prioritize a big job over the safety of our crews, your family or your property!) Our Oshkosh customers have come to trust us because they receive the same great service time after time for their routine services, such as tree trimming. Then, when they have a big job – like land clearing or brush clearing – they know exactly who to call: the company that they can trust, Viking Tree Service! We appreciate the fact that customers know they can depend on us for any job, large or small. We know that there are many tree services that you can do yourself, but the fact that you call Viking Tree Services shows that you want the very best service. At Viking Tree Service, we sacrifice nothing to give our customers the best possible experience. This includes our brush and land clearing services. Small brush clearing jobs can be done by hand, and some people choose to save a little money by handling the clearing themselves. It certainly can be done, but brush clearing is hard work! Plus, you have to have dependable equipment to clear tough brush, which can include small trees, woody bushes, and tree stumps. The problem with trying to clear this type of brush on your own is that your commercial-grade equipment is not designed for this type of work! Only a company that uses professional-grade tools and equipment can clear brush without damaging their equipment or themselves in the process. Not only do you have to have the right equipment, but you also have to know how to approach brush clearing. You don’t just mow over everything the way you would cut your grass! Brush clearing must be done in a systematic way so that the land is left 100% free of roots, stumps and holes. The point of clearing land is that when the service is complete the land can be used for anything you want: building, playing, planting grass, etc. If the wrong equipment is used, you could find yourself paying a company to come in and finish the job even after you did your best to clear it yourself. Therefore, DIY isn’t a good idea when it comes to brush clearing, and certainly not land clearing, which can entail taking down entire tracks of trees and grinding or digging up large stumps. No average homeowners have the type of equipment it would take to do a job that complex, and the equipment is far too expensive to purchase for just one personal job. Besides that, most of it requires the operator to have special training. Viking Tree Service has an array of equipment, from small to large. This ensures that we will have the right tools to handle your brush or land clearing. To be sure we have everything we need on hand, we’ll do a full inspection of the land to be cleared so that we bring all the necessary equipment when it’s time to start the job! Knowing how to approach each job is vital. This is true with brush and land clearing just as it is for specialized tree services! Viking Tree Service will carefully evaluate the land and any potential problems before we get started so that we’re fully prepared to clear your land no matter what challenges arise. Our team is trained for all the necessary equipment it takes to do brush clearing and land clearing. It’s important to us that only certified people are running our equipment. This ensures that your job gets done right, and it protects everyone involved from accidents or damages. ​Because we follow all the proper safety measures, you can be sure that Viking Tree Service will do everything we can to protect your family and our employees. Land clearing and brush clearing can be dangerous work for amateurs, but as a professional company, we do everything in our control to minimize the risks! Quick shout out to our friends that do landscaping & landscape design.